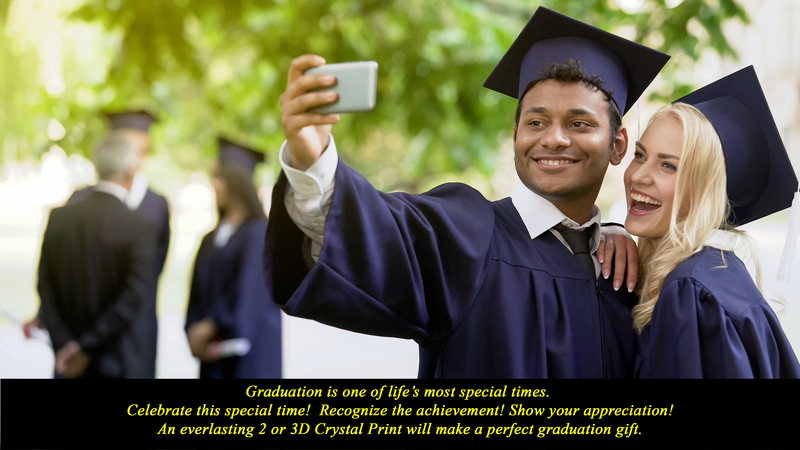 Celebrate and show your appreciation with a special photo crystal keepsake from Crystal Prints. An authentic Crystal Print makes a perfect personalized graduation gift. A photo and text are laser engraved inside of the crystal of your choice. Select from crystal blocks, cubes, diamond, hearts, paperweights, panels and pendants. They are all good choices and are all engraved on the inside of the crystal. The surface is left smooth making for easy cleaning. Select from the examples below or browse all of our different crystal shapes.